Type 27 Zirconia Flap Disc, 60 Grit, 4-1/2" x 7/8"
Strong fiberglass and X-weight cloth backing. Does the job of a grinding wheel and a resin fibre disc. The T27 shape is the best choice for smooth finishing. Applications: Grinding, deburring, edge chamfering, blending, and finishing. 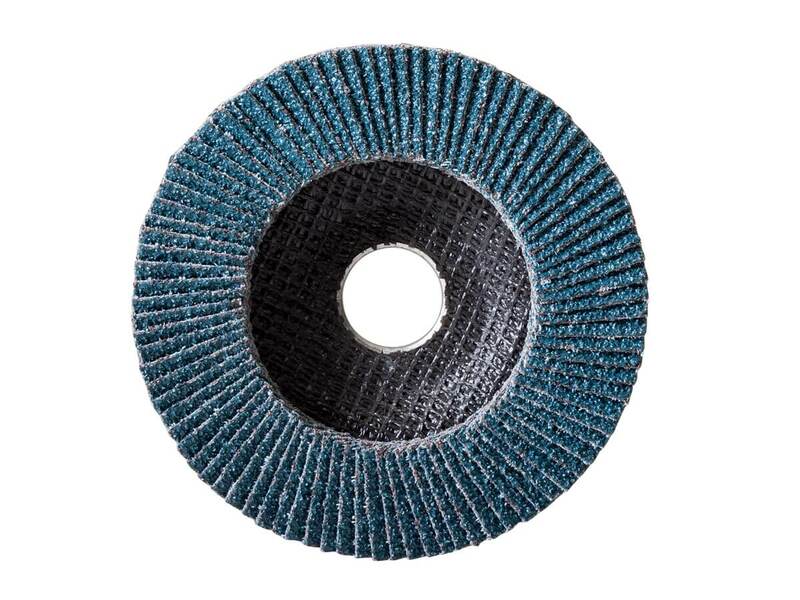 Our flap disc features an extremely tough Zirconia abrasive grain. These remain sharp for the duration of their long life making them ideal for heavy stock removal. This is a multi-purpose disc that can be used for grinding, deburring, edge chamfering, blending & finishing. They are flat shaped - designed for working on flat grinding surfaces. Type 27 discs are most efficient when used between 0 degree to 15 degree angle and the best choice for smooth finishing. 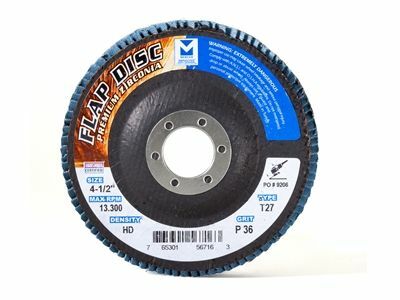 This high-density flap disc has 40% more abrasive cloth than standard discs, which gives it longer life and twice the removal rate while producing a softer grind. The thicker design conforms better to irregular shapes. This is the most popular flap disc for stainless steel and big jobs. Copyright © 2014 Qescorp Inc.. All Rights Reserved. Ecommerce Software by Volusion.